What’s Fact and What’s Fiction in Episode 3 of The People v. O.J. Simpson: American Crime Story? 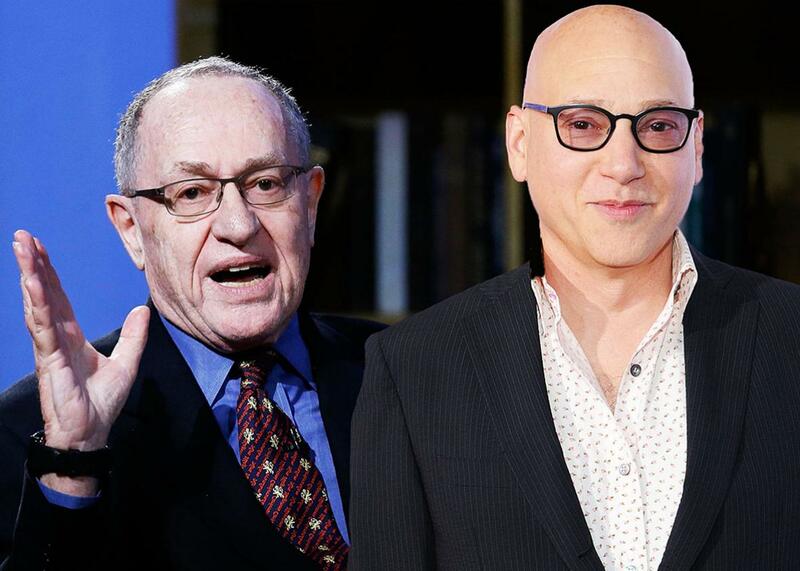 Alan Dershowitz and Evan Handler. In Episode 3 of The People v. O.J. Simpson, we see the defense and the prosecution moving their respective artillery into position, the former settling on race as the bedrock of their case and the latter figuring out, too slowly, that they would actually have to work quite hard to get a guilty verdict. Like the two episodes that preceded it, this one sticks pretty closely to the book it’s based on, Jeffrey Toobin’s The Run of His Life. Below, a run-down of some ways in which it deviated, and a tour of some entertaining details that were left out. “My goddaughter is being interviewed,” Simpson announces. As Kardashian chats about being young and rich in Hollywood, Riccio and a man seeking a photo with Simpson make salacious comments about her exotic beauty. The former NFL star ignores them. “I was in the hospital when she was born,” he says softly. To my surprise, I wasn’t able to find the Kris and Bruce Thighmaster commercial on YouTube, though I am happy to pass along this related content from US Weekly. Part of what makes The People v. O.J. Simpson so much fun to watch is the way it toggles between scenes that show the main characters up close and scenes that focus on media coverage that many viewers are likely to remember. The second scene of Episode 3 takes us inside the newsroom at Time, which published a controversial cover using O.J.’s police mugshot. 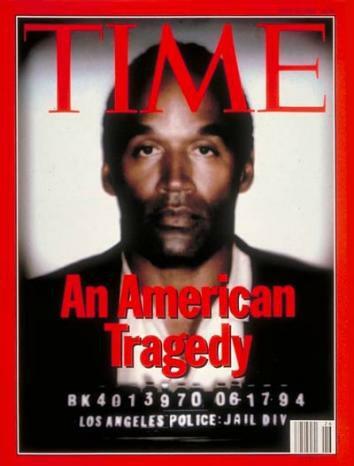 The reason the cover was controversial, as portrayed in the episode, is that the person who designed it added “a bit of chiaroscuro” to the mugshot, making O.J.’s skin look darker than it really was and causing critics to accuse the magazine of a cynically racist ploy to make O.J. seem more guilty. I don’t know if the graphic effect Time used was actually chiaroscuro. But according to Toobin’s book, everything else about the scene is true to life: after initially slotting a painting of O.J. as their first post-murder cover, they decided to go with a photo-illustrated version of the mugshot, which was released by the LAPD mere hours before the magazine was supposed to close. The show portrays Marcia Clark as the kind of prosecutor who lives for litigation—so much so that she gave up a higher-paying administrative post after getting a promotion in order to get back to the front lines. “I hated it. I begged them to let me back in the courtroom,” Clark is quoted as saying in the Toobin book. “I learned that all I wanted to do was try cases.” Her timing couldn’t have been better: her return to the battle ranks took place just a few weeks before the O.J. trial started. According to Toobin’s book, there are a few things wrong with this portrayal. First, the person who knew Fuhrman from working with him on Johnny Carson’s security detail wasn’t McKenna, but a former LAPD officer named Zvonko “Bill” Pavelic whom Shapiro had hired as an investigator. More importantly, Pavelic’s discovery of Fuhrman’s bombshell lawsuit turned not on a slog through the county courts archives but on a bit of luck: not long before Nicole and Ron Goldman were killed, Pavelic just happened to get hired as a consultant on a police brutality case in which Fuhrman was accused of wrongfully shooting at a suspect and then planting a knife on him to justify it. Fuhrman’s lawsuit—in which the detective sought to wring disability benefits out of LA’s Fire and Police Pension System on the basis that he had “sustained seriously disabling psychiatric symptomatology” as a result of policing street gangs—came to Pavelic’s attention during pretrial discovery on the brutality case, and he told Shapiro about it a few days after he joined the Dream Team. Jeffrey Toobin and Chris Conner. One charming thing about Episode 3 is that it shows us the origin of its own source material, with a scene in which a young New Yorker reporter named Jeffrey Toobin surprises Shapiro at his office and conducts an interview with him about the case. 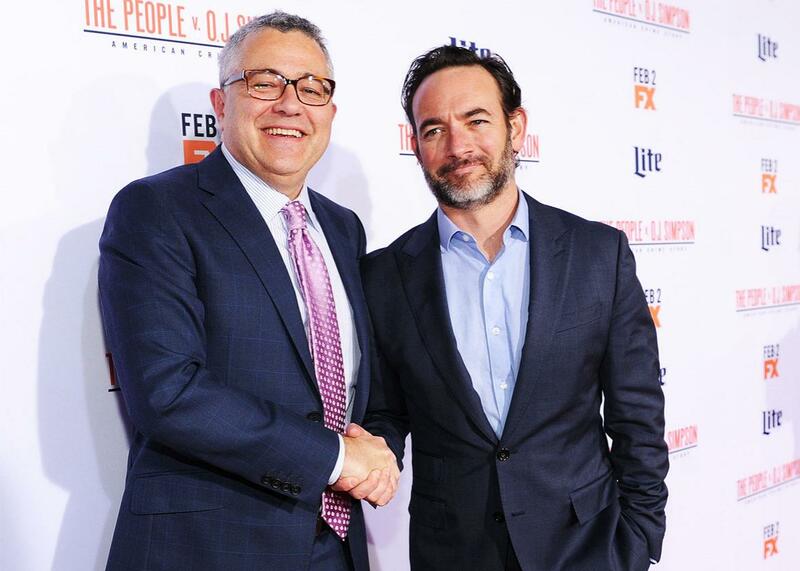 In the show, Toobin is in L.A. because he’s working on a story about “cash for trash,” the semi-journalistic practice of paying witnesses in high-profile criminal trials to give interviews. In reality, though, that story had already been published by the time Toobin showed up at Shapiro’s office, and it was only afterwards that New Yorker editor Tina Brown sent Toobin to try to interview Shapiro. Perhaps more importantly, Toobin already knew about Fuhrman’s file when Shapiro agreed to talk to him: acting on a vague tip from Dershowitz, his former professor, Toobin had gone to the L.A. County Courthouse and dug up the documents himself. All Shapiro did was confirm for Toobin—on background—that the defense team planned to use Fuhrman’s record as the basis of a case centered on systemic racism inside the LAPD. A nice detail: During Toobin’s trip back to New York, the in-flight movie was Naked Gun 33 1/3, starring O.J. Simpson. The scene in which the Chris Darden character agrees to join Marcia Clark’s team of prosecutors includes a reference to the “passports, fake beard, [and] $8,700 in cash” that were found in A.C. Cowlings’ Ford Bronco after O.J. was finally arrested. According to Toobin, it was actually $8,750. Also, the list of items discovered in the car was actually a bit longer. Per Toobin: “In what appeared to be Simpson’s travel bag, they found O.J.’s passport and a plastic bag that contained a fake goatee, a fake mustache, a bottle of makeup adhesive remover, and three receipts from Cinema Secrets Beauty Supply, dated May 27, 1994.” There was also a loaded gun, registered to an LAPD officer who had done security work for O.J. years earlier. 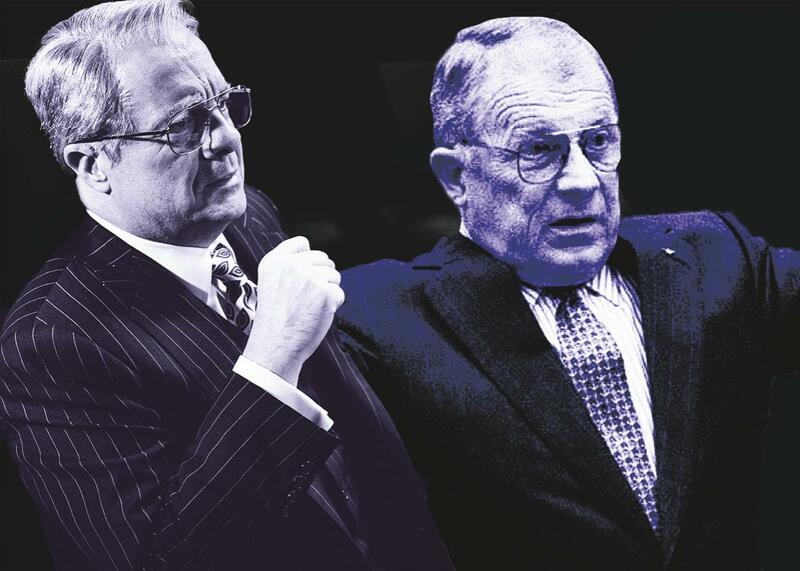 Nathan Lane and F. Lee Bailey.